We, as family take short trips extensively, say 3-4 times every year. Being a Delhite , this fast paced life takes toll on health and stresses you out. It happens with all to some extent. We just go out for weekend trips for 2-3 days to some nearby locales. I have been an active member on Tripadvisor for long, posting reviews on various properties I have visited. So, I thought, why not on my blog too!! 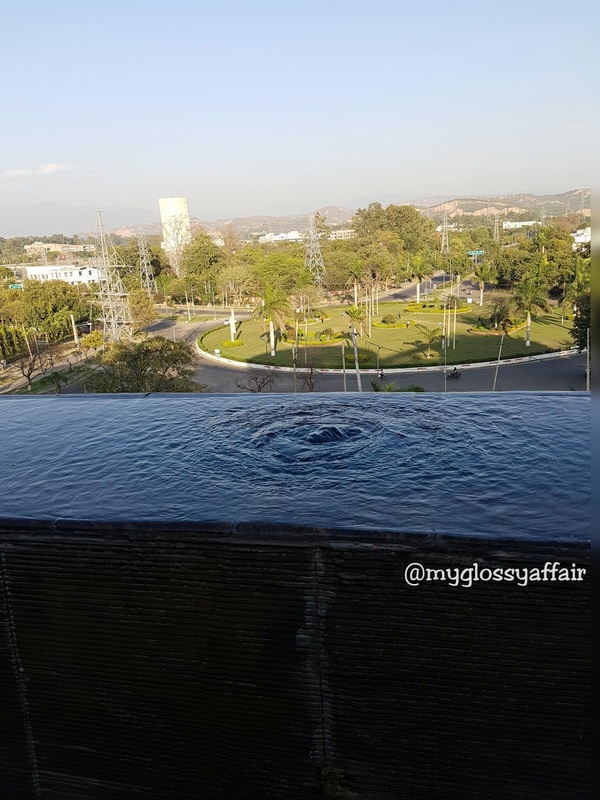 Hence, here I am 🙂 with my 1st review on property – WelcomHotel Bella Vista, Panchkula. WelcomHotel Bella Vista is a 4 star boutique hotel and is a part of renowed group – ITC. This hotel boats of 9 swimming pools and spectacular mountain views. 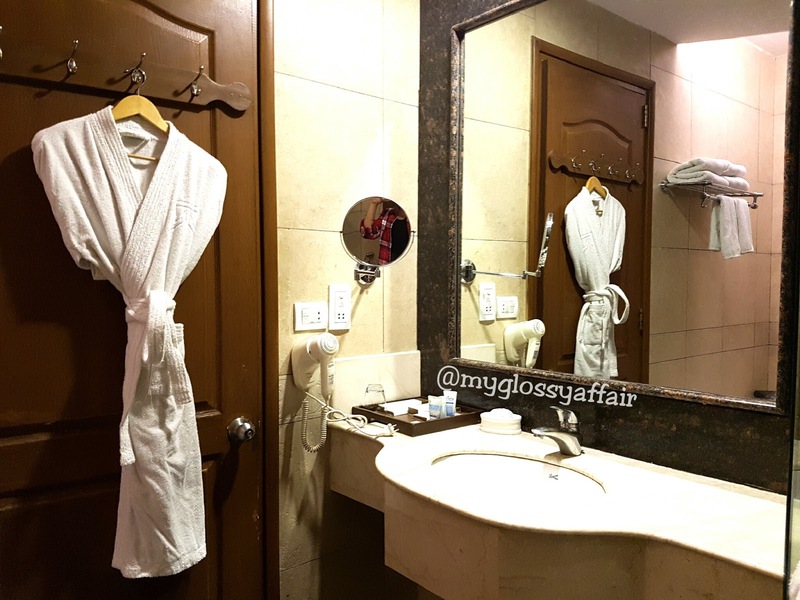 There are variety of rooms in hotel with some ultra luxurious options having private pools.Hotel Bella Vista has awesome views of Shivalik range while being in center of Panchkula and is very accessible from Shimla-Kalka-Zirakpur highway. 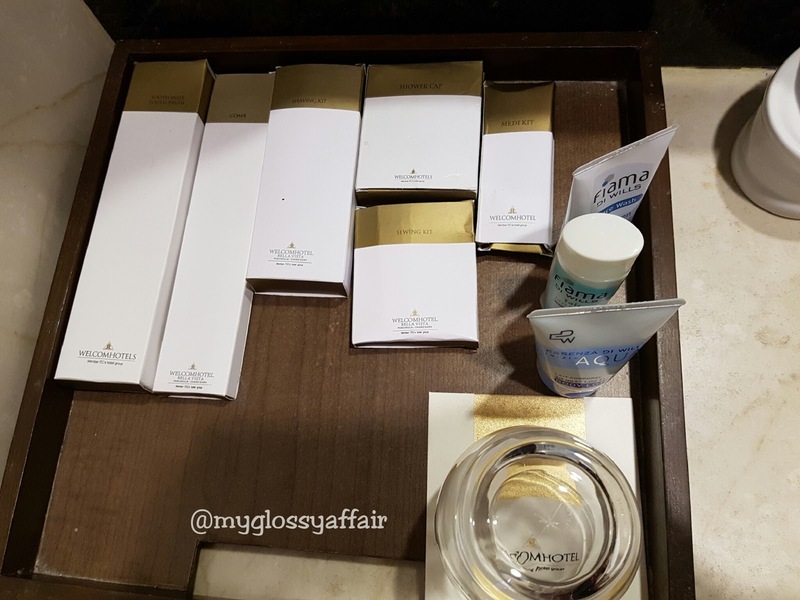 The hotel is close to Chandigarh as well and also near to some good markets.The front desk was as supportive as possible and the staff was courteous. Not a single complaint with any of them. Service was fast in room too. This hotel has a mall too, with some luxurious shops on ground floor, though you won’t feel it as it is quiet. It closes at 7pm, if I remember correctly. We had breakfast at the hotel and it was luxurious. All sorts of dry fruits on table and in buffet, I loved that 🙂. The variety in menu was vast and the staff was ready to bring anything on order too, say hot dosa, omelette etc. We had dinner in Chandigarh as we wanted to explore some amazing restaurants there and I love Chandigarh. This hotel is beautifully located and everything seems near, say 15-20 mins, that’s it. We stayed in Premium room. The room was one of the most spacious room I have stayed ever, in that range, with a spacious balcony. 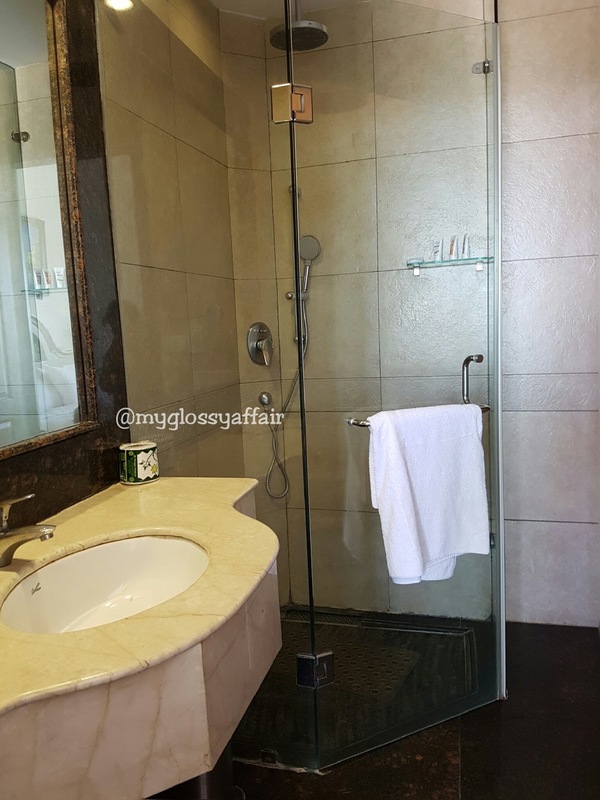 The bathroom was fully equipped with shower cubicle and Jacuzzi. The balcony had amazing views of Shivalik range and swimming pool and beautiful city view. The bed was king size and very comfortable. But, I found the sofa cloth a little dirty and it was not cleaned properly as we could see some leftover pieces of rubbish. No other complaint as such. One common swimming pool is on roof top and there were some suites too with private pools, though they were not very private :P. Be sure to pack a sun hat if you plan on staying out in the pool area all day. Sukhna Lake, Rose Garden, Rock Garden, Timber Trail. A live singer in the open area outside my rooms’s balcony. His voice was so good. That totally made our evening and our stay memorable. Nothing more could we ask. The fabric of sofa in my room was not so clean and that’s a big put off for me. The bed linen and everything should be squeaky clean. We can compromise on extra stuff but these are necessities. Maintaining hygiene is of utmost priority. P.S. – This is not a paid review. I have paid all the expenses myself.